﻿ Shared rooms. Living room. Shower. Restroom. Mini kitchen. Rest zone. 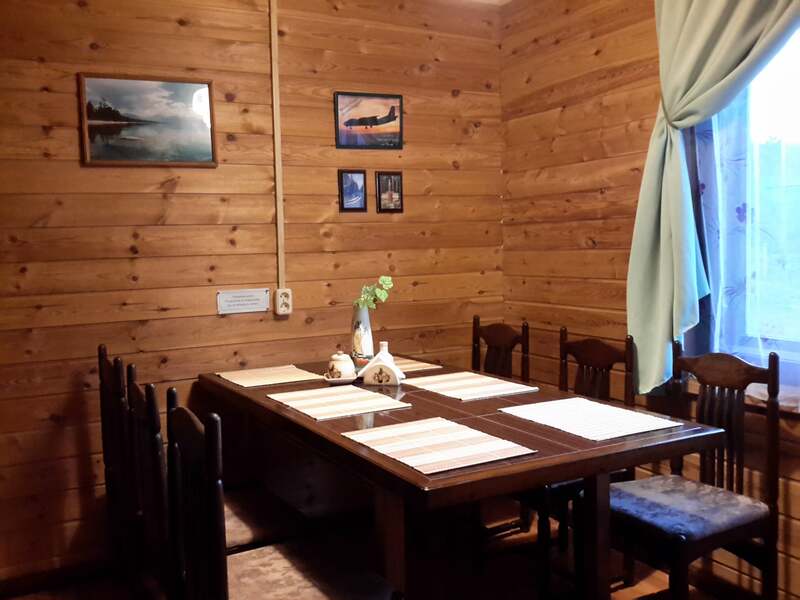 There is a general room on the floor, it is a living room for 6 persons. In the center of the room is a big table and 6 chairs. 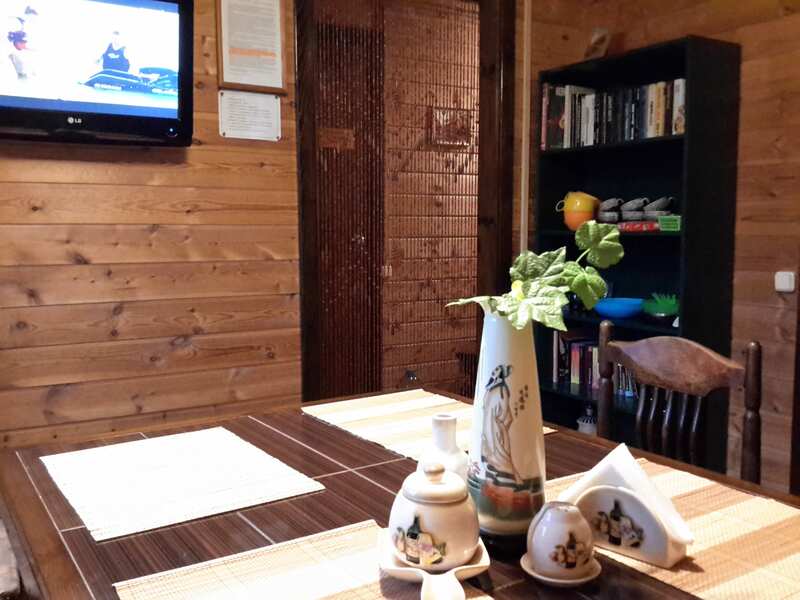 The room is equipped with an electric heater, there is a TV and a refrigerator. 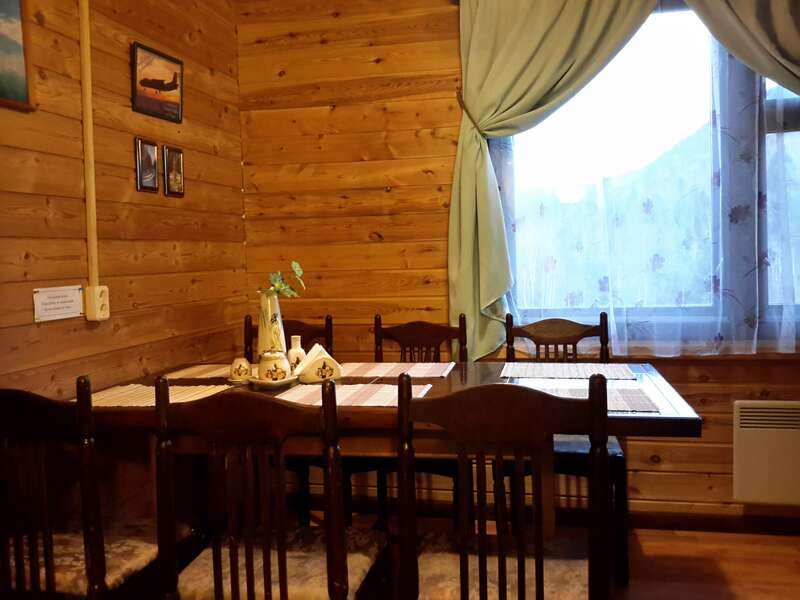 The room offers a magnificent view of the mountains. Next to the living room is a shower room. 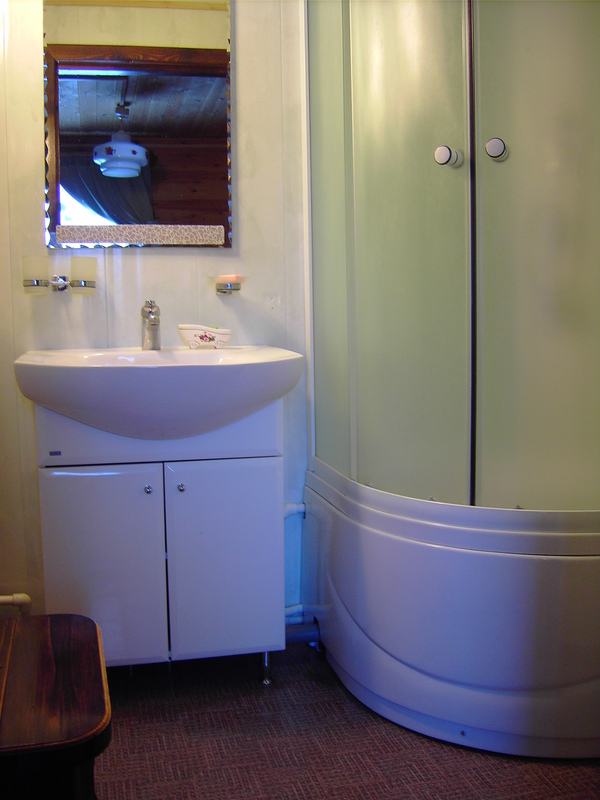 The room is equipped with a shower cabin and a sink. Hot water is provided all year round. 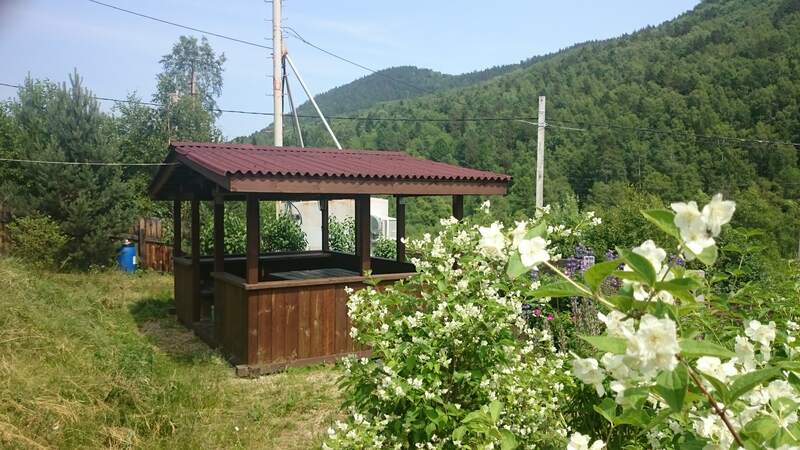 Cold water comes from a depth of 70 m, it can be drunk unboiled. At the end of a corridor is a mini kitchen. The room is equipped with an induction stove, a microwave oven. 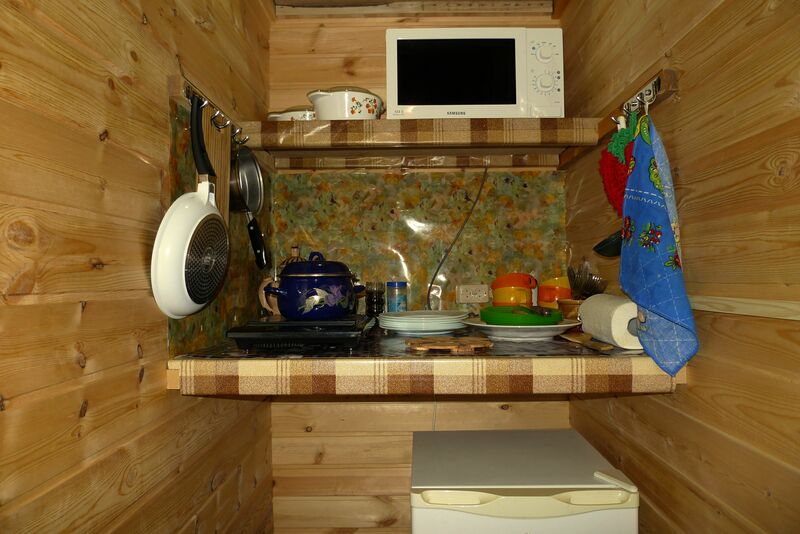 There is a small refrigerator and a set of necessary utensils. 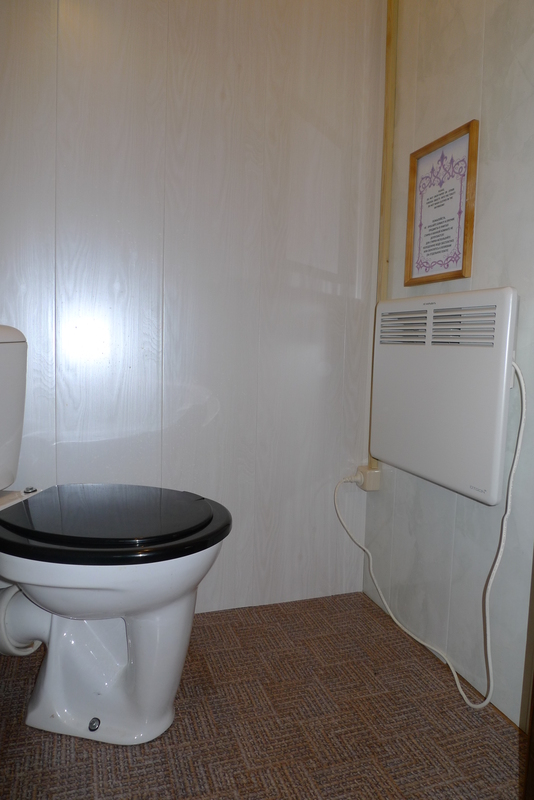 In the center of a corridor there is a well-equipped toilet with forced ventilation. The toilet is equipped by all necessary. An electric heater is mounted on a wall.